Strong and sustained growth with casting resins, machine systems, and composite-based light-weight construction – In financial year 2017/18, the international RAMPF Group generated consolidated sales of 183.5 million euros, an increase of 8.5 percent on the previous year. 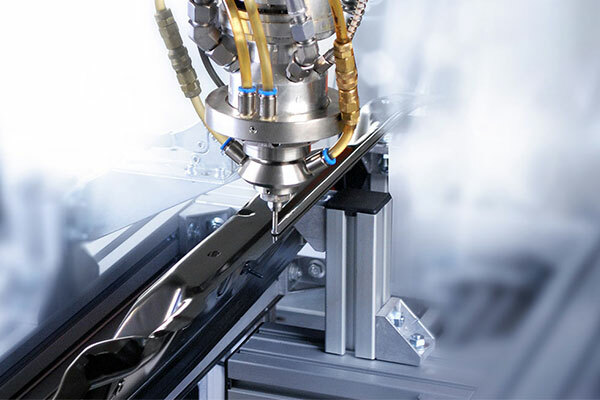 RAMPF Production Systems (dispensing technology & automation solutions) recorded the strongest growth, generating sales of more than 50 million euros for the first time, an increase of 25 percent. With 216 employees the company based in Zimmern o. R., Germany, is now also the largest company of the international RAMPF Group in terms of staff. Double-digit growth rates were also achieved by RAMPF Polymer Solutions (casting resins), RAMPF Composite Solutions (carbon fiber and fiberglass composites parts), and RAMPF Eco Solutions (chemical recycling solutions). Sales of machine beds and components made from mineral casting, hard stone, and ultra-high performance concrete (RAMPF Machine Systems) increased slightly, while the sales volume of modeling & mold engineering materials (RAMPF Tooling Solutions) was on a par with the previous year. For the current financial year, RAMPF again expects consolidated sales to increase by around 8 percent. About 19 million euros are to be invested, mainly in property and buildings, machinery as well as plant and IT infrastructure. At the end of fiscal year 2017/18 on June 30, RAMPF had 833 employees worldwide, 5 percent more than in the previous year. Around three quarters of the workforce is employed at the five German sites and one quarter at the foreign subsidiaries. For the current financial year, RAMPF expects to be able to continue this positive trend and to again achieve personnel growth of around 5 percent. In order to attract, engage, and retain highly qualified employees, RAMPF is increasing its investment in its employer brand. “We are a global group that operates in dynamic markets and offers challenging and exciting job opportunities. And, as a medium-sized family business, we stand for a value-oriented corporate culture in which people are always at the center”, Michael Rampf points out. An increasing number of companies in the automotive, electrical, household appliance, and filter industries are using dispensing technology & automation solutions from RAMPF Production Systems. The company based in Zimmern o. R., Germany, generated sales of more than 50 million euros for the first time in financial year 2017/18.